With the song "Querube" interpreted by Eddie Ricardo, Megan Young, Miss World 2013 was received in Puerto Rico and met with the local press at the Los Almendros Hall of the Condado Plaza Hilton in San Juan. Young welcomed the participants and said in Spanish "I am very happy to be on the island and feel the warmth of its people. We would have loved to be more days in Puerto Rico, but the schedule of activities changed after my appendicitis operation three weeks ago. But I'm glad to see my friend and sister Nadyalee and see the community work of the organization and to share with the girls"
Moreover, Steven Douglas, Events Director of Miss World apologized for the absence of Julia Morley, president and CEO of Miss World Ltd, who "is resting after a bad cold that made her unable to travel". Douglas added that "We are delighted to be here to see and support the work of Beauty with a Purpose. 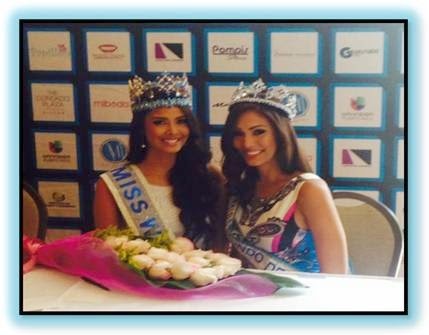 Puerto Rico is a franchise that is very important to us at Miss World". Douglas took the opportunity to discuss the excellent performance of Puerto Rican beauties and clarify rumors of why no other Puerto Rican beauty have won the Miss World title "Puerto Rico is a successful franchise and their candidates always stand out. 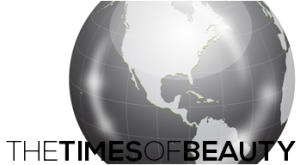 Over the past 12 years Puerto Rico has qualified 9 times in Miss World. This makes the franchise a standout from the rest of the countries. I have no doubt that Puerto Rico will soon have its next Miss World. Sometimes it's very difficult because this event receives every year around 125 to 130 youths from around the world with excellent qualifications." Young and Douglas will be in the Top Model and Beach Fashion challenge events to be held at the Museum of Transportation in Guaynabo and also will attend the Beauty with a Purpose gala at the Juan Boria Theater in Dorado. The results of these and all challenge events will be announced at the Grand Final of Miss Mundo de Puerto Rico on Wednesday, August 13th from 7:00 pm live on Univision Puerto Rico. Special thanks to the Miss Mundo de Puerto Rico Organization!